On 17 November CEN and CENELEC will host a webinar on the role of standards and how to address standardization in Horizon2020 proposals. In Horizon2020 standardization has been recognized as a valuable tool to contribute to innovation and to demonstrate market scale up of research results. Anticipating the Horizon2020 calls, CEN and CENELEC are hosting a webinar to explain what role European standardization plays and how project proposers can address standardization in proposals. More on the CEN-CENELEC dedicated web page. Regstrationi: to register your interest please email research@cencenelec.eu - mentioning ‘Horizon2020’ in the subject line. The EuroNanoForum 2015 will take place on June 10-12, 2015, in Riga, Latvia. The EuroNanoForum 2015 is Europe’s largest networking conference on nanotechnologies and advanced materials science, innovations and business, across all industrial sectors. The Latvian capital of Riga will host the bi-annual conference that is expected to attract more than 1200 visitors from over 50 countries during its three-day programme. The EuroNanoForum 2015 is a meeting point for industry, science and policy. It enables its participants to explore cutting-edge research, latest innovations and rising companies from all around Europe, provides extensive networking and matchmaking possibilities, and features aspects of upcoming H2020 calls as well as regional and public-private partnerships. Over the three days, a range of must-see talks, reviewing the status of European technology development in nanotechnologies and advanced materials, will be delivered by the leading minds to complement vast opportunities for doing building partnerships for business and research. Essentially, EuroNanoForum 2015 enables its participants to be in the vanguard to explore cutting-edge research, innovations with an impact, and rising companies from all around Europe. A Brokerage Day helps to find research and business contacts, as well as partners for future EU projects. Additional details are available at www.euronanoforum2015.eu. To keep up-to-date with announcements and news for EuroNanoForum 2015, follow @ENF2015 on Twitter. The Finnish Institute of Occupational Health (FIOH) organized an International Congress on Safety of Engineered Nanoparticles and Nanotechnologies - SENN2015, on 12- 15 April 2015, in Helsinki, Finland. 2015 nanoSTAIR's Practical Guideline for researchers and other parties is now online! The presentations and the posters shown during the "European conference on nanotechnology and nanomaterials: opportunities and challenges" as well as the conclusions are now available. nanoSTAIR contributed with a presentation: Towards full integration of standarization in the projects. The NRW Nano-Conference will take place on December 1-2, 2014 in Dortmund, Germany. Guests from business, science and politics are welcome to participate an enriching and interdisciplinary dialogue about the opportunities, risks and potential of nanotechnology. The NRW Nano-Conference in Dortmund offers two days of technical presentations about current trends in nanotechnology by top speakers from companies and research institutes. Furthermore, companies will present their latest technology developments and products at the accompanying exhibition. The organizers expect round about 600 international participants. To submit your presentation/topic, please use this template within the online form Submit a presentation. On 20/11 afternoon in Grenoble, nanoSTAIR will present pre-normative activities within research project that pave the way to standardisation of results. The Fourth International Conference NANOSAFE 2014 will be held on November 18-20, 2014 in MINATEC, Grenoble, France . All accepted abstracts will be submitted online and published in a "Book of Abstract"
Full paper will be published after their review in an open access journal. More information on the NANOSAFE website. The 2nd Marine NanoEcoSafety Workshop (MANET) will be held in Palermo, Italy, on November 17-18, 2014. The first deadline for submission of Abstracts is September 15th, 2014. The 2nd MANET is open to all researchers from Academia and Industry as well as stakeholders interested in the area of Marine EcoSafety of Nanomaterials (NM) and offers a unique opportunity to discuss the state of the art and future challenges of this emerging research area. The first deadline for submission of Abstracts is September 15th, 2014. NIVA Education will organize a course on "Safety and Risks of Engineered Nanomaterials (ENM)" on November 10-12, 2014, in Copenhagen. The main goal of the course is to provide the participants with information that allows them to understand key-issues related to ENM. More specifically, the purpose is to introduce the current knowledge about the characteristics of ENM, exposure to the material and their health effects and also about the challenges of risk assessment and risk management concerning ENM at workplaces. The European Conference "Standards: your innnovation bridge" will take place in Brussels on October 30, 2014. Ever wondered what standardization and innovation have in common ? Innovation, and the capacity to develop and market innovative products and services, is vital for boosting Europe’s economic competitiveness. This European Conference will offer you the opportunity to engage with leading experts on innovation and standardization issues to discuss, challenge and learn how standardization can enhance the impact of innovation in Europe. How do standards support innovation and competitiveness ? How can standardization facilitate the dissemination of knowledge ? How can standards bridge the gap between innovation and the market ? How can standardization contribute to the success of Horizon 2020 ? This conference will take place at the Square-Brussels Meeting Centre. The NanoSafety Cluster is hosting a “Nanosafety Forum for Young Scientists”. The NanoSafety Cluster is hosting a “Nanosafety Forum for Young Scientists”. The event will take place in Syracuse, Sicily on October 8-9, 2014, complemented by opportunities to meet experts and senior scientists. Prior to the Forum for young scientists the NSC meeting will be held on Tuesday 7th. Nanosafety Cluster and MODENA COST action jointly organize a scientific conference focusing on presentations of young scientists working in EU-funded nanosafety projects. The presentations will be selected by the scientific programme committee from the submitted abstracts. Accepted abstracts will be presented in the plenary oral sessions. A brief abstract (max 250 words) should be sent to NSCForum@ttl.fi before 15 June 2014. The number of the participants is limited to 100, on a first come, first served basis. The Let's 2014 conference will take place in Bologna on September 29 - October 1st, 2014. A major event organised in the context of the Italian Presidency of the European Union in the fields of Nanotechnology, Biotechnology, Advanced Materials, Manufacturing and Processing under the High Patronage of the European Parliament and of the President of the Italian Republic. Through five thematic tracks, the programme will explore the synergies among different industrial and scientific sectors and the ways policymakers at all levels, educational systems, finance players could give to sustain the Industrial Renaissance of Europe and its economy. How can the Key Enabling technologies address the Societal Challenges in a vision toward a new European Renaissance? view such as Laura Piovesan (European Investment Bank). The EU FP7 project MARINA seeks to review the state-of-art tools for risk assessment of nanotechnologies under development in EU and US research projects. 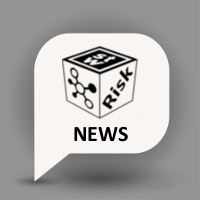 The EU FP7 project MARINA (http://www.marina-fp7.eu/) seeks to review the state-of-art tools for risk assessment of nanotechnologies under development in EU and US research projects. These include exposure and hazard assessment methods and tools as well as specific "risk approaches". The deadline for filling in the questionnaire is July 5, 2014. The responses will contribute to the development of a publically available review of tools, which can support the MARINA Strategy for Risk Assessment of Nanomaterials. All responses will be used anonymously, but the project will be acknowledged. The questionnaire can be filled in for one tool at the time. Multiple questionnaires can be filled in to accommodate more tools. You are also invited to share this link with researchers working with you. As they develop their work in the coming months, MARINA consortium may contact you and/or your colleagues for additional information. The study will be conducted in accordance with relevant EU legislation and ethical guidelines including The Charter of Fundamental Rights and Directive 95/46/EC of the European Parliament and of the Council of 24 October 1995 on the protection of individuals with regard to the processing of personal data and on the free movement of such data. If you have any questions regarding this questionnaire, please contact Vrishali Subramanian (vrishali.subramanian@unive.it) or Danail Hristozov (danail.hristozov@unive.it). 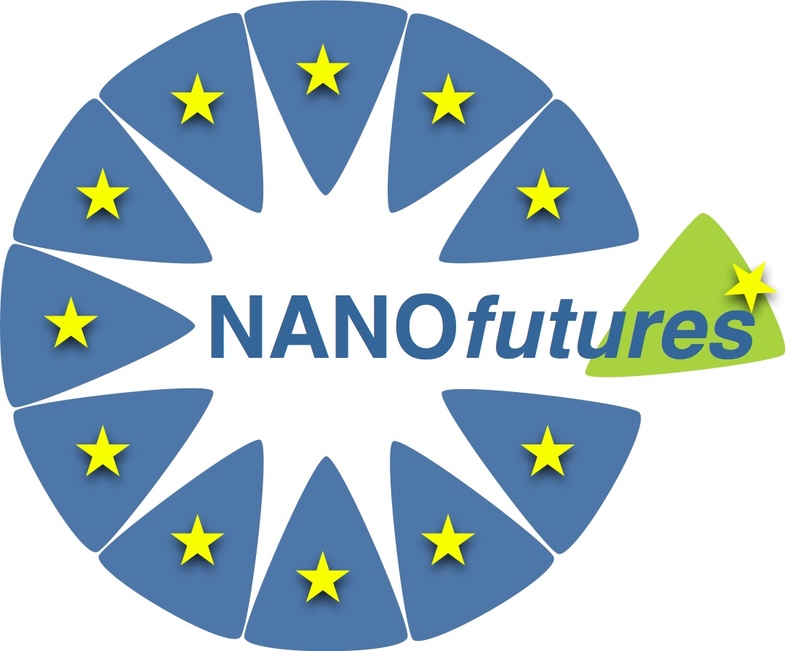 The final conference of the nanoSTAIR project will take place on January 22, 2014, in Brussels. During this event, nanoSTAIR will present a the nanoSTAIR check tool that helps researchers to disseminate and exploit the research results with standardization and the nanoSTAIR Practical Guideline. The final conference will be hosted by CEN-CENELEC. A specific opportunity is given to the partners of QNANO project and the affiliated to get the support from nanoSTAIR for standardization activities. In the afternoon of January 22 conference, QNANO partners in particular will have the possibility to present their intention for standardization and get a feedback from standardization experts or find complementary resources to start standardization activities. Thus, the nanoSTAIR consortium invites researchers to submit a document that will be analyzed and, if agreed, commented during the final conference. Researchers will thus receive recommendations useful for the standardization strategy of their projects. We think that it is a didactic way to present the tool. If you are interested to participate in the nanoSTAIR check, you are invited to visit the nanoSTAIR webpage “get support” to submit a scientific document (scientific article, paper presented in a conference, deliverable of a project..., min. 10 pages / max. 100 pages). January 22, 2013: Feedback provided during the final conference, in particular for QNANO partners. If you have any question related to standardization and nano, send an email to nanoSTAIR@eu-vri.eu. 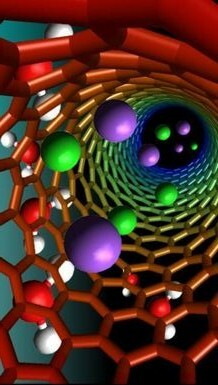 What is a nanomaterial? NanoDefine finds out. A 29-partner consortium of top European RTD performers, metrology institutes, and nanomaterials and instrument manufacturers, gathered at a launch meeting in Wageningen, NL, last month to begin the mobilisation of the critical mass of expertise required to establish the measurement tools and scientific data that help to implement the EU recommendation on the definition of a nanomaterial. Based on a comprehensive evaluation of existing methodologies and a rigorous intra-lab and inter-lab comparison, validated measurement methods and instruments will be developed that are robust, readily implementable, cost-effective and capable to reliably measure the size of particles in the range of 1 - 100 nm, with different shapes, coatings and for the widest possible range of materials, in various complex media and products. Practical case studies will assess their applicability for various sectors, including food/feed, cosmetics etc. One major outcome of the project will be the establishment of an integrated tiered approach including validated rapid screening methods (tier 1) and validated in depth methods (tier 2), with a user manual to guide end-users, such as manufacturers, regulatory bodies and contract laboratories, to implement the developed methodology. NanoDefine will closely collaborate with its sister projects in the NanoSafety Cluster (www.nanosafetycluster.eu) as well as engage with international EHS, RTD and metrology initiatives. 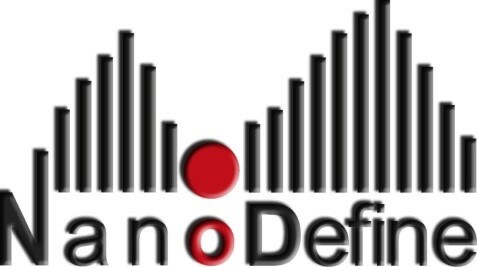 NanoDefine will also be strongly linked to main standardization bodies, such as CEN, ISO and OECD, by actively participating in Technical Commissions and Working Groups, and by proposing specific ISO/CEN work items, to integrate the developed and validated methodology into the current standardization work. The German and French National Contact Points (NCP) and Enterprise Europe Network Alsace with the Europe Alsace Network organise a brokerage event with he objectives to present the future framework program dor research and innovation "Horizon 2020. The German and French National Contact Points (NCP) and Enterprise Europe Network Alsace with the Europe Alsace Network organise a brokerage event with he objectives to present the future framework program dor research and innovation "Horizon 2020 and the first calls for proposals to be publisched by the end of 2013, for submission in early 2014, and to give the opportunity to build project consortia. For registration and profile submission: November 7, 2013. For meetings selection: November 8-20, 2013. CEN & CENELEC organize a training "StandardDays" in Brussels on September 17-18, 2013. Open poster and oral sessions are also foreseen. Participants are invited to submit their abstracts from April 1st 2013.
nanoSTAIR published the deliverable on the identification of the needs of the stakeholders and drivers for standardization. nanoSTAIR has recently published the deliverable on the identification of the needs of the stakeholders and drivers for standardization. The present document presents the results of WP 2 task 2.1 “Identification of the needs from various stakeholders at EU and national level”. It identifies and summarizes the needs and main drivers of various stakeholder groups for new standards to bridge the gap between the research objectives and the standardization needs by facilitating the process of clustering. To download the deliverable, please click here. The 2nd Conference on Sustainable Intelligent Manufacturing (SIM 2013) that will take place in Lisbon, Portugal, from June 26 to June 29, 2013. The Centre for Rapid and Sustainable Product Development, Polytechnic Institute of Leiria, and the Faculty of Architecture, Technical University of Lisbon kindly invite you to participate at the 2nd Conference on Sustainable Intelligent Manufacturing that will take place in Lisbon, Portugal, from June 26 to June 29, 2013. SIM conference is being organized to be a high quality conference and an outstanding board of Scientific Committee members to ensure a high academic standard of published papers. Papers will be blind peer-reviewed. Accepted and presented papers will be included in an ISBN conference proceedings book. Selected papers will also be published in special issues from journals. Authors are invited to submit an abstract of 200-500 words in one or more of the areas identified above, outlining the major content and conclusions. Accepted abstracts will be invited to submit full papers. nanoSTAIR will be present through the participation of project partners, a poster, an overview leaflet and a leaflet on the semantic analysis tool. 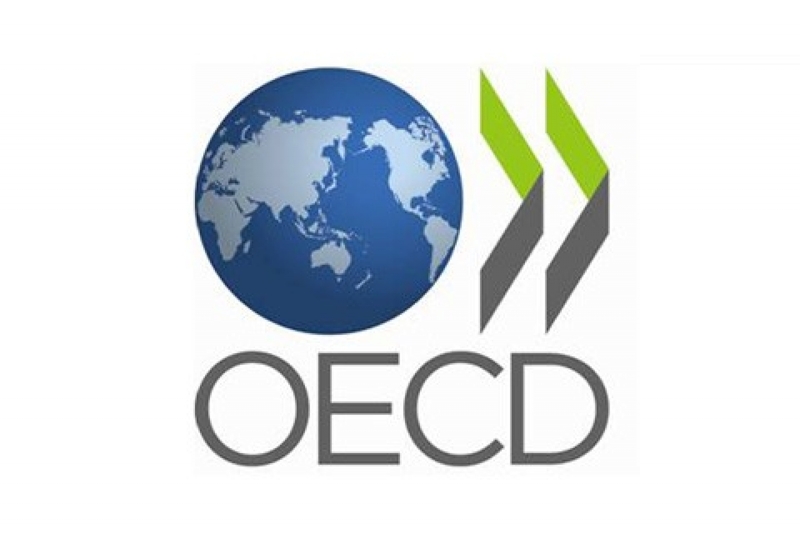 The OECD Working party on nanotechnology developed a guide for planning outreach and public engagement in nanotechnology. This guide identifies key issues to be considered by policymakers involved as organisers, commissioners, or funders of public engagement activities in nanotechnology. The nanoSTAIR consortium contributed to the newsletter of CEN-CENELEC. Spring is a time to be optimistic and make plans for the future. CEN and CENELEC have shared ideas with all their members and stakeholders about the future of the European Standardization System. The aim of this exercise is to agree, with the European Telecommunications Standards Institute (ETSI), on a common set of strategic objectives – as well as specific ambitions for CEN and CENELEC leading up to 2020.
nanoSTAIR has contributed to this newsletter. The nanoSTAIR consortium has recently established the official liaison with the CEN/TC 352. More information about the CEN/TC 352 "nanotechnologies" can be found here. In the last NanoTrail, the good news that the American Society for Testing Materials, or ASTM, had published a new standard: E2834 - Standard Guide for Measurement of Particle Size Distribution of Nanomaterials in Suspension by Nanoparticle Tracking Analysis (NTA) has been reported on. The ASTM standard details the application of Nanoparticle Tracking Analysis (NTA) to the measurement of particle size distributions for suspended particles from ~10nm to the onset of sedimentation. The NANODEVICE project has recently published several leaflets. The Industrial Technologies 2012 (19-21 June 2012, Aarhus) will take place on June 19-21, 2012, in Aarhus (Denmark). Industrial Technologies 2012, the largest event in the field of industrial technologies (nano, materials and production) will show how innovation can boost European growth and competitiveness. Three days of insightful plenaries and conference sessions with over 100 speakers will reveal the impact of industrial technologies and promote solutions to improve the environment for innovation in Europe, including workshops, matchmaking, poster sessions and site visits to leading Danish companies. The highlight of this year’s event will be the Award Gala, where the winner of the Best Project Award will be nominated. Further details about this event are available here. To register, please click here (discount price till March 31st, 2012). Three conference plenaries will invite high profile international speakers from industry, government and research to discuss visions for European research and industry in 2020, how Europe can succeed in the face of global competition, and the form and impact of Horizon 2020. Over 70 speakers across 18 sessions will reveal the economic and technological impact of industrial technologies, with topics including low emission transportation, integrated systems, improving the environment, energy generation and storage, healthcare and construction. Sessions will also build on the recommendations of the High Level Group on Key Enabling Technologies to promote practical solutions to improve the environment for industrial innovation in Europe. Workshops and break-out sessions will look at individual topics in more detail, reflecting the work of individual project clusters or networks and building commitment and momentum for future activities. A workshop will be dedicated to the SafeFuture initiative. Over 50 organizations have already confirmed their participation as exhibitor. Take the possibility to showcase and disseminate your project, network with potential project partners for future projects and utilize your booth to coordinate your activities at IndustryTech2012. Also, you will get answers to how Europe’s funding landscape is changing as there will be MEP Da Graca Carvalho speaking, a key figure in Horizon 2020. Tecnalia is pleased to announce the Workshop “MANAGING OCCUPATIONAL RISKS ASSOCIATED WITH NANOMATERIALS” taking place on 24th May 2012 at Euskalduna Conference Centre, Bilbao (Spain). The Workshop is organised by TECNALIA and the University of the Basque Country in the framework of the 10th International Conference on Occupational Risk Prevention (ORP2012) and under the umbrella of the European Project SCAFFOLD. The Workshop focuses on the industrial needs of companies and aims to provide a practical overview of the results of current research in the field of management of exposure to nanomaterials. The ultimate objective of the Workshop is to provide companies a set of skills that enable them - with the available evidence - proper management of the nano-risks. The Workshop will include technical presentations from very well known speakers from the different disciplines involved in occupational nanosafety (USA, France, Finland, Spain); experiences in industry, a round table with involved stakeholders (Industry, Administration, Prevention Services, Research Organisations, Certification Bodies) and finally, a demonstration session to show equipments and devices for exposure measurement. Due to the international nature of the event, the language of the Workshop will be in English. There will be a simultaneous translation system to facilitate the participation of industry and other interested organizations.